A potentially damaging, multi-million dollar class action against PokerStars has been dismissed by a judge at the United States District Court in Illinois. 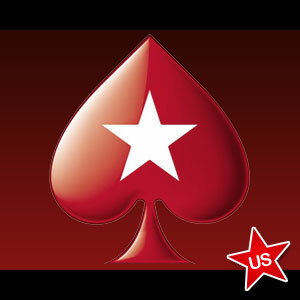 The lawsuit was brought against PokerStars by Kelly Sonnenberg, the mother of an Illinois poker player who allegedly lost money playing online poker on PokerStars during the period between the passage of UIGEA in 2006 and “Black Friday” in April 2011, when the US Department of Justice shut down PokerStars´ State-side operations along with those of Full Tilt Poker and Ultimate Bet. All forms of gambling – both games of skill and games of chance – are illegal in Illinois, irrespective of whether a bet has been placed online or in person, and Sonnenberg used Illinois´ Loss Recovery Act as the basis of her claim – an Act which says that individuals can recover gambling losses on behalf of third parties who fail to make their own claim within six months of the loss. On behalf of herself and several other Illinois poker players, Sonnenberg filed a claim in August 2012 against Isai Scheinberg, Paul Tate, Nelson Burtnick and several shell companies that operate from PokerStars´ Isle of Man headquarters, alleging that Scheinberg et al were operating an illegal gambling operation in violation of Illinois´ criminal code and that the plaintiffs in the class action were entitled to recover gambling losses. PokerStars contested the lawsuit and filed an application for the case to be dismissed on the grounds that Sonnenberg had failed to prove her claim (i.e. that her son had lost money on PokerStars), and could not provide details on when the money was lost or how much it was – an important consideration as the plaintiffs could have claimed three times as much as the original amount lost under the Loss Recovery Act had their class action been successful. 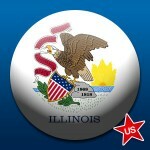 At the United States District Court for the Southern District of Illinois, Chief Judge David R Herndon ruled in PokerStars´ favor; stating that, under the Loss Recovery Act, gambling losses could only be recovered from the winner of an illegal gambling transaction and, as PokerStars only deducted a rake for hosting online poker in Illinois, they did not benefit from the outcome of the hand and therefore could not be considered to be the “winner”. Sonnenberg´s legal representative – Lloyd M. Cueto – argued that the deduction of rake was sufficient to make PokerStars a beneficiary under the statute, but Judge Herndon said that the defendants had not participated in the hand and could not have benefitted from the outcome of the gambling action – and therefore could not be held accountable for the losses suffered by the plaintiffs. PokerStars were represented by the law firm of Ifrah Law, who could not contain their delight at the class action against their client being dismissed. Founder of the company, Jeff Ifrah, commented that Sonnenberg´s class action against PokerStars was an attempt to exploit a centuries old statue to unjustly claim a personal windfall. Ifrah Law attorney Rachel Hirsch added that millions of dollars were at stake, but the dismissal of the case should act as a precedent to protect other online poker providers from similar meritless actions. Her comments were mirrored by a third attorney representing PokerStars – David Deitch – who said he hoped that judges in other States would take note of the principal that deducting rake from a pot does not make the provider of the service a “winner”.